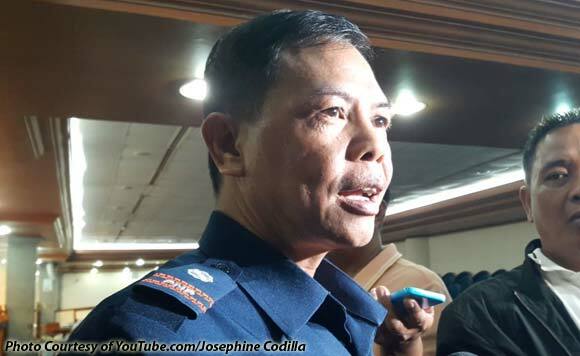 Police Chief Jovie Espenido wants to be deployed to Iloilo City which President Rodrigo Duterte himself described as the most “shabulized” city or town in the country. Espenido is on a hot streak after putting down to narco-mayors in the last ten months – arresting Albuera, Leyte Mayor Rolando Espinosa (who as gunned down by a Criminal Investigation and Detection Group inside his jail last November) and killing Ozamiz City Mayor Reynaldo Parojinog inside his compound. Espenido revealed that he wanted Iloilo as his next assignment as he saw himself as a weapon of God to bring to heel the baddest mayors in the country. “Gusto ko kasi pinaka-extreme na mayor, pinaka-critical para masubukan ako ng Panginoon kung makaya ko ba doon,” said Espenido. Espenido said he would accept a transfer to Iloilo City “kung gusto ng panginoon. Espenido said he does not plan to arrive in Iloilo City with all guns blazing. “Kausapin ko lang muna nang harap-harapan, makikita ko naman kung totoo o hindi,” said Espenido who did not mention Iloilo City Mayor Jed Mabilog by name.